Went on a rant about this on Twitter last night, but KC Johnson is reporting the Bulls are considering doing a sign-and-trade that would send Carlos Boozer to Los Angeles for Pau Gasol. As I asked during last weekend’s mailbag, why? What’s the point? Pau Gasol doesn’t fill a need other than the “hey we’ve thought about getting this guy for a few years now and this is our chance!” need. And that’s not really a need, Ahab. 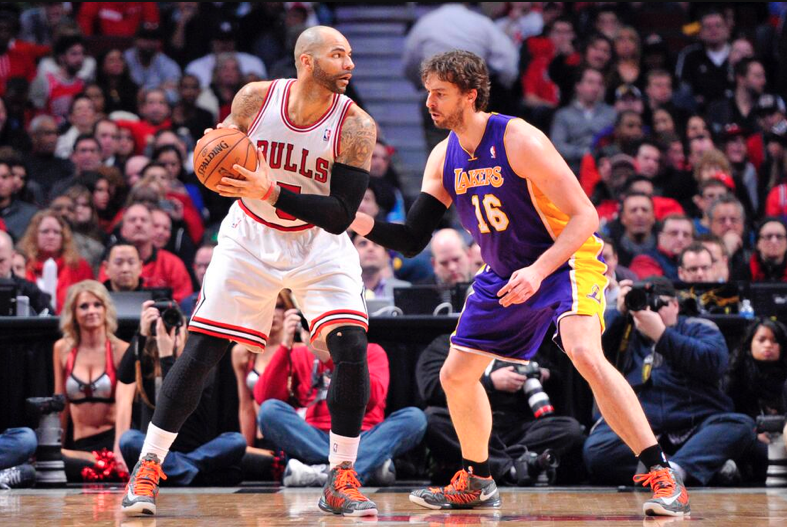 This entry was posted in Chicago Bulls, Photo Of The Day and tagged Carlos Boozer, Pau Gasol by Tom Fornelli. Bookmark the permalink. I like that the bulls know they need to change something because if they don’t, it’ll just be the same ending we’ve seen the last 4 years. I don’t like that are now making a change that won’t affect anything. We missed out on Melo…fine…just get Mirotic over here if you want some form of change. This really does feel like 2010 all over again. I just don’t get why a team that seems so against the idea of moving Taj Gibson suddenly wants to bring in somebody to take away minutes from Taj Gibson. I really hope they aren’t doing it just to make a change to appease fans. I really really hope they aren’t doing it because they have no clue what they are doing and just want some type of change. It’s getting extremely hard to get invested in this team every year. Even when they are winning during the regular season, smart fans know that they’ll get bounced at some point in the playoffs because they haven’t made the correct changes to be a contender for a championship.